June 16, 1991, marked the passing of Stanley Burroughs, a pioneer in the field of alternative health care. Author of Healing for the Age of Enlightenment, and The Master Cleanser, Stanley was a man renowned for his research into the role of toxemia in disease. Since his research and writings have influenced my own life and work to such a great extent, I feel compelled to share with you some of the highlights of one of his most important therapeutic tools the Master Cleanser Lemonade Fast. It was in 1979 that I under took a specific type of cleansing program in order to prove to my room-mate it would not work! This program involved the Lemonade Diet, developed by Burroughs in 1941. It initially came about in response to his need to find a better method to treat ulcers, and it was some years later that he realized that this diet treated many other diseases successfully, and he named it the Master Cleanser. This cleansing program worked so well for me that I went on to study all of Stanley Burroughs work and through 1980 I did 100 days in total of the Master Cleanser program and never felt better in my life. Choose the darkest organic maple syrup. The Master Cleanser is a liquid mono-diet that cleanses and detoxifies the body as it stimulates healthy tissue growth. It consists of fresh lime or lemon juice, maple syrup, and cayenne pepper mixed with water and drunk 6-12 times a day. A herbal laxative tea is taken twice a day, and no other food is consumed. This regimen that can be followed for 10 days, and may also be safely extended to 40 or more days, depending upon a persons physical condition. To understand why this therapeutic diet works its necessary to understand what disease is from a holistic perspective. Dis-ease is simply the accumulation of wastes, toxins, or poisons in the body, which in turn creates the myriad of symptomatic illnesses we are seeing so prevalent in people to day. The glands and organs of our eliminative systems can easily become overwhelmed by wastes from poor diet, lack of exercise, tension, air and water pollution etc. As much as several pounds of waste can literally become impacted in the colon, adhering to the walls. Over time, the waste will then begin to leach into the blood stream. causing it to be re-circulated throughout the body, and settle into the tissues and cells. This settling of toxins is the final step that acts as a precursor to disease because its constant presence weakens the cells and eventually the entire immune system. It stands to reason, then, that cleansing the body of this accumulated waste serves to rejuvenate the innate healing mechanisms of the body. so that they can function at optimal capacity to restore health and vitality, the less toxicity that is present in the body, the greater our vital force becomes. Because the act of digesting food consumes our energy on an ongoing basis, it follows that the elimination of solid food for short periods of time will make the energy normally used for digestion available for the process of detoxification. Thus the first step is to stop eating food so that the lemonade drink can commence its work. Because the lemonade drink is easily assimilated, it places little or no demand on the digestive system. Fresh squeezed lemon juice is a powerful cleanser for the body, and is also high in vitamins. Additionally, it is the only fruit or vegetable to contain cationic and anionic minerals. 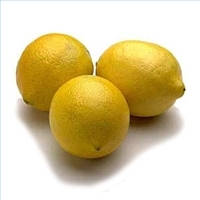 Lemon also helps loosen and break up mucus in the body. Mucus is one of the body’s defenses to protect it self against irritations. When too much mucus settles in any one area, dis-ease is the natural outcome. Those of you familiar with color therapy will also know that lemon, when consumed fresh squeezed, releases the color that stimulates the body to cleanse itself. 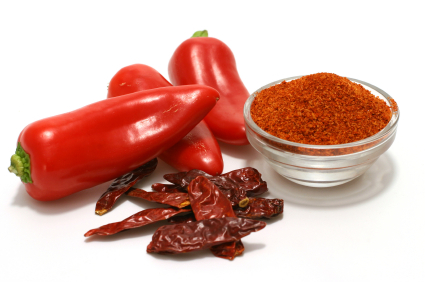 Cayenne pepper, another key ingredient of the diet, breaks up this mucous and acts as a cleanser for the digestive, respiratory, and circulatory systems. It is used by herbalists to treat a wide range of problems and to enhance the effectiveness of many other herbs. The maple syrup provides energy from an unprocessed sugar which still contains many of its original nutrients. The absence of minerals and vitamins in processed sugars makes the digestive system rob the body of these precious nutrient stores in order to metabolize the sugars. If too many processed foods are eaten, the pancreas seems to one of the first organs affected, often resulting in hypoglycemia and then further deterioration of the pancreas. The herbal laxative tea is used to stimulate peristalsis of the colon, since the only other way to do it is to eat a diet high in fiber. The lemonade drink, or Master Cleanser, having no fiber, must use a laxative to remove the waste as it is being shed from the colon wall, otherwise it will stay in the body, leading to tiredness and any number of problems.